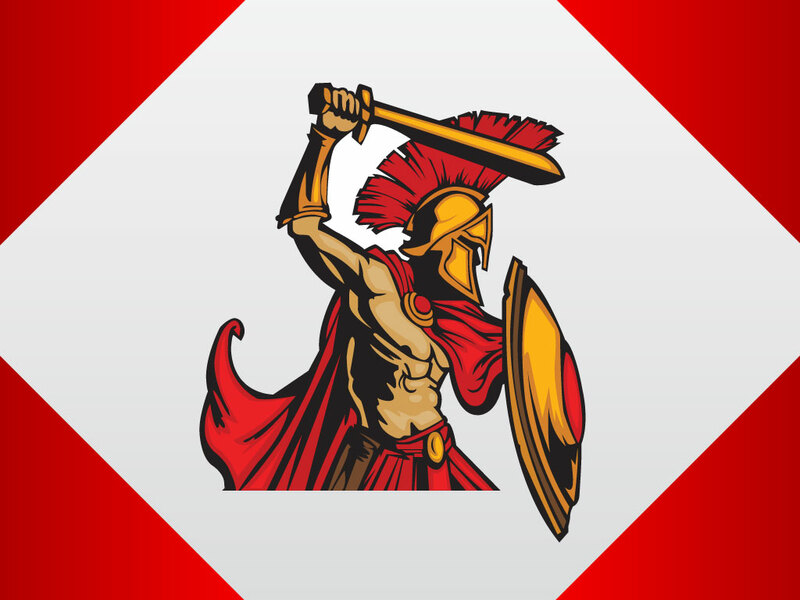 Ancient Greek vector illustration of a Spartan style warrior with sword, helmet and shield. Red, gold and brown colors are well organized in the free download, making it a great choice for screen printed apparel. Soldier wearing helmet for your Trojan, Roman, Spartan, Corinthian or Greek history, army, armour, gladiator, centurion and heroes graphics. Perfect graphics for a team mascot or company logo showing strength and determination. Tags: Ancient, Battle, Brave, Gladiator, Greece, Greek, Helmet, History, Shield, Soldier.